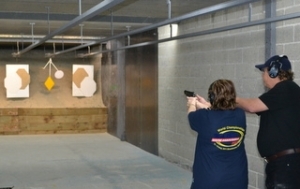 Pistol shooting is a safe, fun and unique sport that is open to anyone 12 years and over. 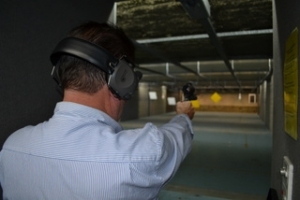 St Marys Pistol Club conduct regular safe handling courses for handguns which are required before you can obtain a Category H licence. To get started there are six steps you must follow. into the pistol safe handling course. Our course is offered exclusively to members of St Mary's Pistol Club and involves both classroom and live fire exercises. It is an exciting hands on introduction to the sport. Contact the NSW Police Firearms Registry on 1300.362.562 and ask them to send you out a target pistol licence application. They will send the following: a P561 personal details form and a P660 target form. MINORS - Persons aged between 12 and 18 years of age should ask for a minors target pistol permit application. Complete the pistol safe handling course. On successful completion of the course you will be given the necessary paperwork to complete your licence application. The course is run over a weekend – from 9.30am to approximately 4.30pm, Saturday and Sunday at the St. Mary’s Indoor Shooting Centre. Complete 3 Novice shoots. 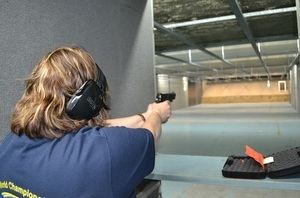 These are Club calendar events and are run one on one with our Range Safety Officers. A Novice is a member who has completed the safe handling course but has not yet been issued with a Probationary Pistol Licence. Complete 3 Trainee shoots. These are Club calendar events and are run under the guidance of our Range Safety Officers. A Trainee is a member who has completed 3 Novice shoots and has been issued with a Probationary Pistol Licence. Once you have completed steps 4 and 5, and have held a Probationary Pistol Licence for a minimum of 6 months, you’re eligible to attend Graduation which marks the completion of your training period. For more information about applying for your Category H Licence speak with the friendly staff at St Marys Pistol Club by dropping into the Centre or by Contacting Us.